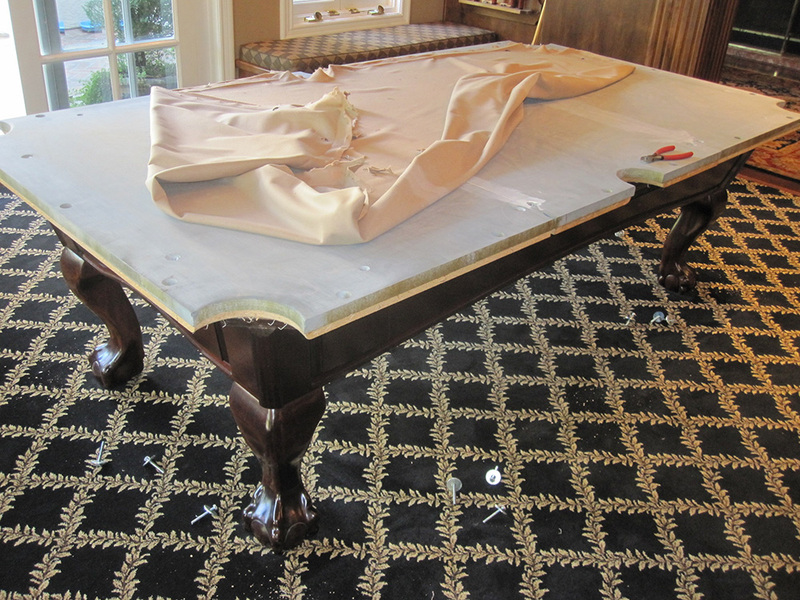 Here’s a refelt job we did this week in Yorba Linda, CA for the owners of this eight foot Beach Mfg. 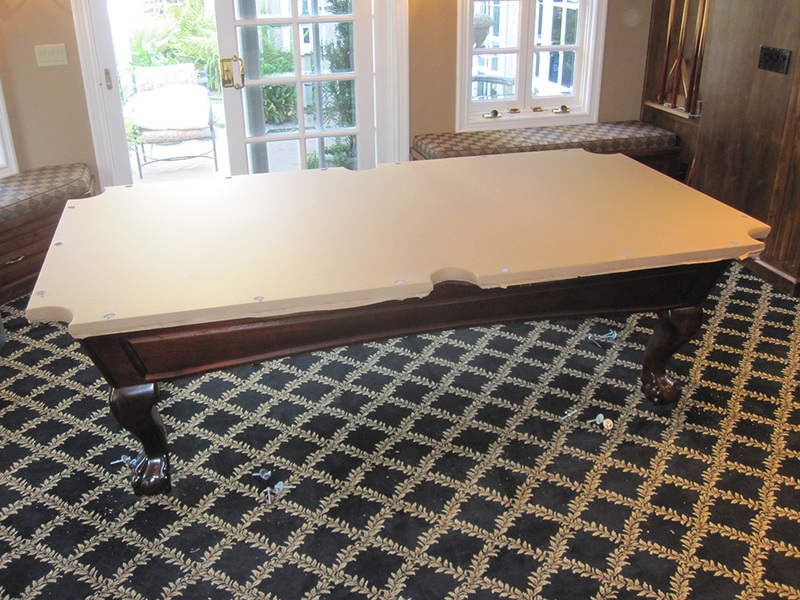 pool table. 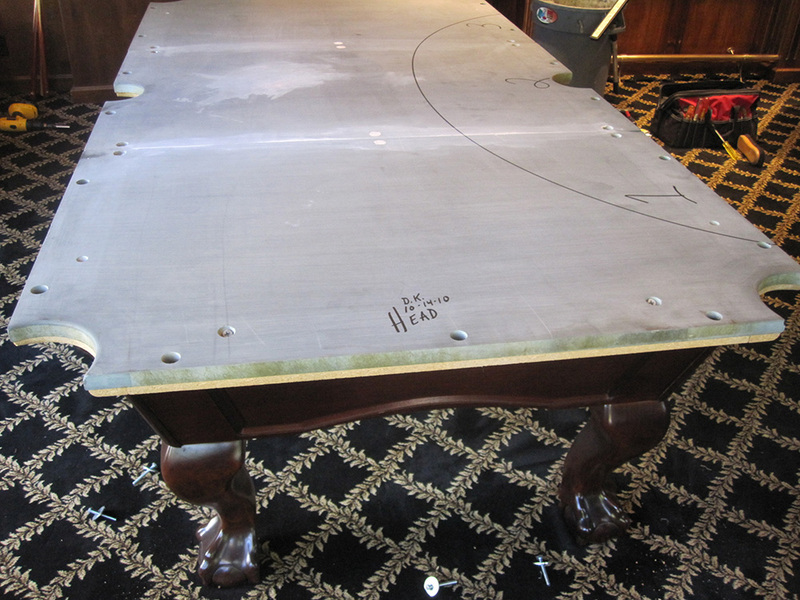 Our clients have owned this table for 12 years and have many kids and friends play on it. 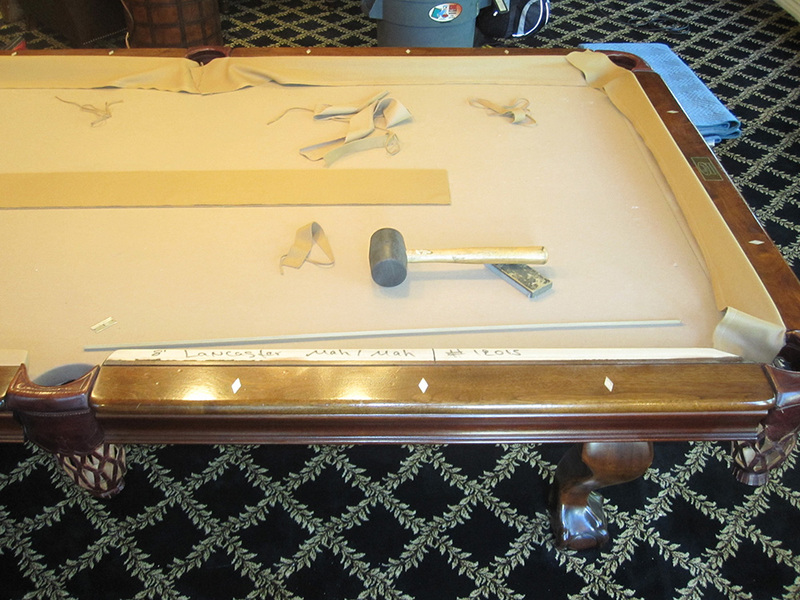 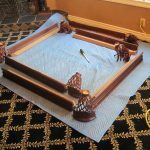 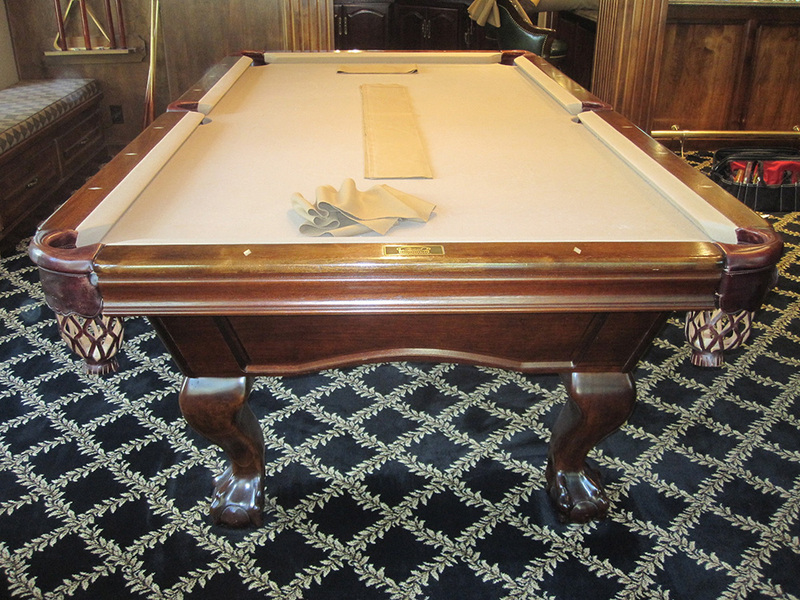 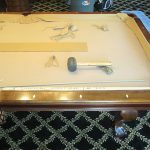 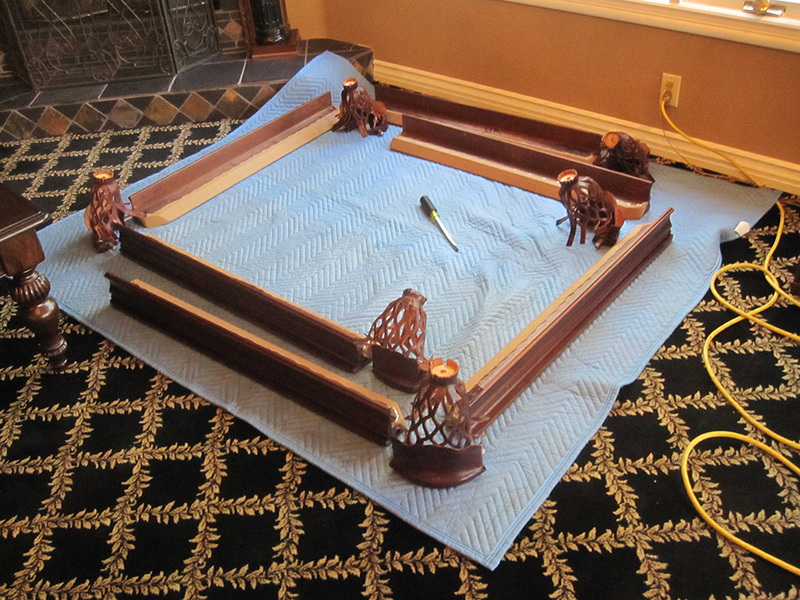 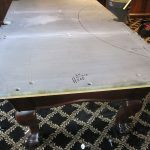 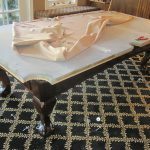 The old camel cloth was starting to show its age, and recently the owners have re-carpeted the game room. 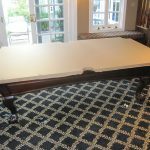 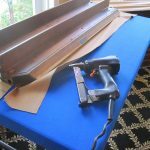 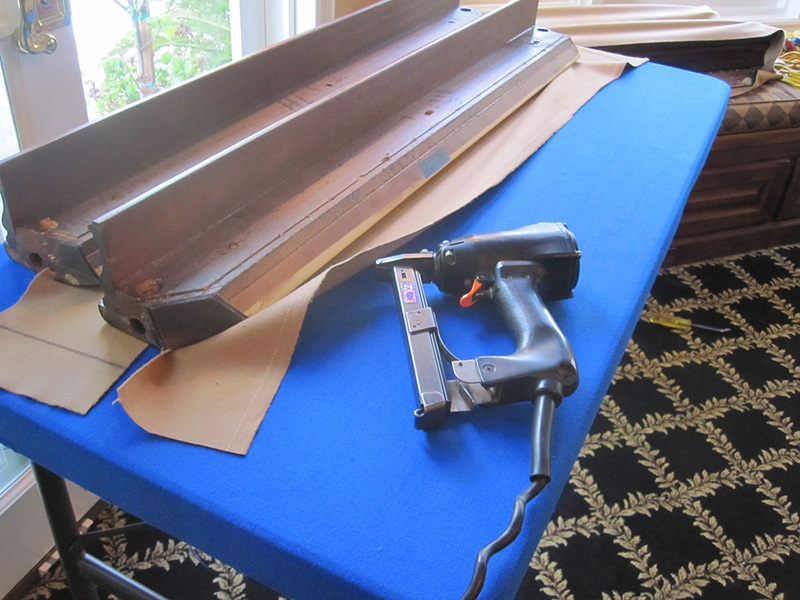 So a new felt job was in order, also the pool table has settled a bit into the new carpeting and needed to be re-leveled. 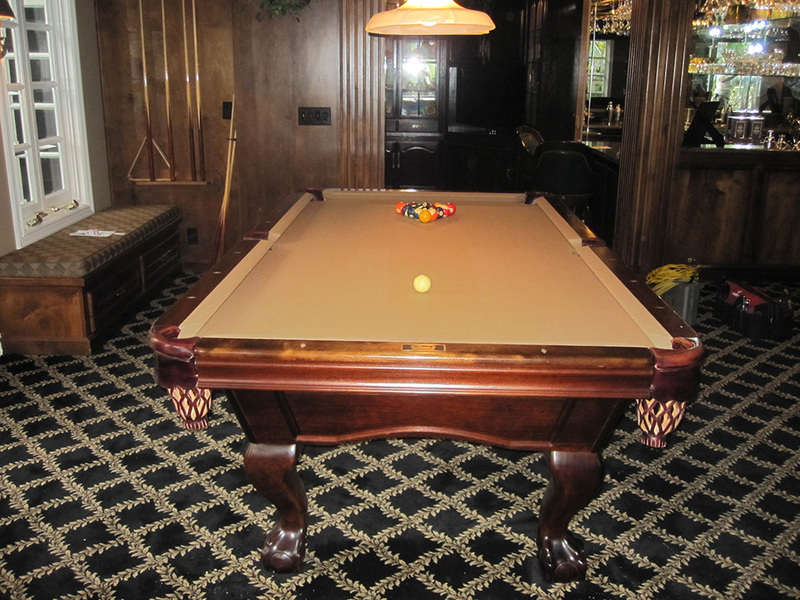 We use Mali 10820-f on all of our residential refelt jobs, it’s a 21-22 oz. 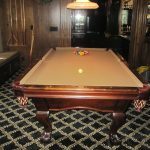 wool-nylon blend billiard cloth which is available in many colors.